A simple, sturdy frame tent that's easy to transport, erect and break down - that's the Alaska frame tent! This version comes with a PVC roof, with sides that can be rolled up out of the way, and a tough polyester coated groundstrip. Available in 2 sizes, please select the size you require from the dropdown. Ground strip and splash guard: Polyester coated fabric. Size 1: Material approx: 28kg, Frame approx: 34kg. Size 2: Material approx: 34kg, Frame approx: 44kg. Includes as standard - Canvas, Frame, Guy ropes, Pegs and Bag. 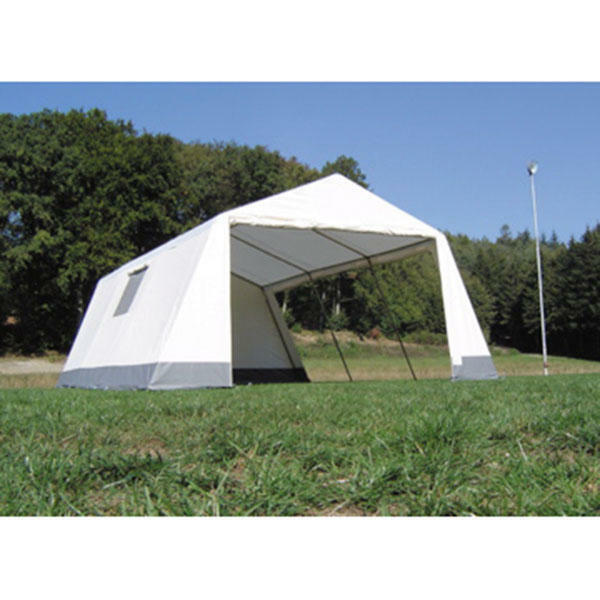 You can also purchase a ground sheet or partition for this tent, please tick the relevant box below to add to your order.